One or more photo(s) has been virtually staged. Do you want to live your best life? This Dr Phillips waterfront home has the STYLE, tranquility, & elegance you crave! As you walk in the front door, be captivated by the expansive multi-level deck & gorgeous water view. Sit on the back covered patio & enjoy your morning cup of coffee as you watch the ducks go by. The kitchen was updated with solid wood cabinetry & stainless Bosch appliances; there’s plenty of storage & counter space for the chef in the family! Are you looking for a true master retreat? Be wowed by the large bedroom, walk-in closet, and bathroom w/vaulted ceiling, dual vanities, & Jacuzzi tub. This SPLIT PLAN home is light & bright, with an open concept yet separate formal dining & living rooms. Check out that stunning 2nd bathroom with travertine & walk-in shower w/dual shower heads. This home was designed for privacy, with lush tropical landscaping creating a sense of serenity & space. 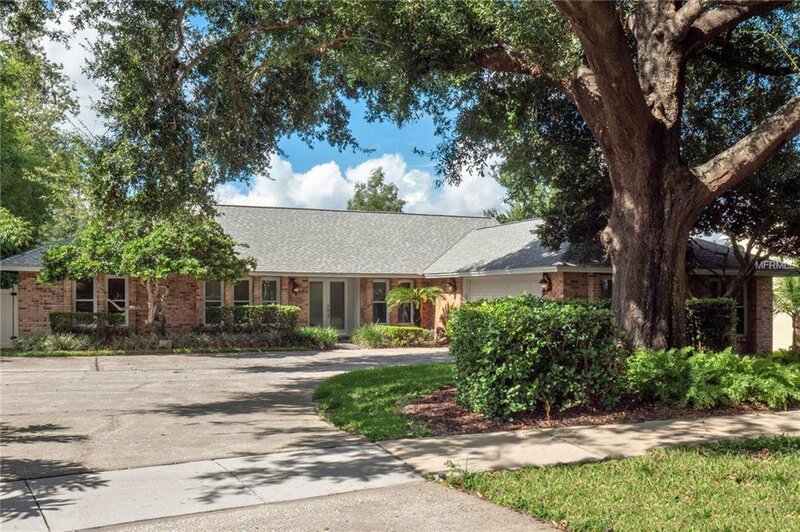 With its proximity to every convenience (shopping malls, grocery, RESTAURANT ROW, golf, boating, the theme parks, fitness, medical, + 30min to MCO), this home would make a fantastic vacation destination! Newer roof, water heater, paint, carpet, windows, & septic: what more could you ask? Ask your realtor to download the list of improvements for this home and schedule your showing TODAY! Listing courtesy of BHHS RESULTS REALTY. Selling Office: RE/MAX CORE COLLECTION.